KATHMANDU, Jan 10: Leaders of Nepal Communist Party (NCP) are becoming increasingly concerned regarding the relentless attacks at the central government by Province 2 Chief Minister Lalbabu Raut, an influential leader of the ruling party's coalition partner Federal Socialist Forum Nepal which has become a silent onlooker amid strained relations with the NCP in a row that ensued after the suspension of FSFN's member of parliament (MP) Hari Narayan Rauniyar. Of late, the otherwise unchallenged Oli government has come under sharp attacks from Raut for its reluctance in decentralizing powers to the newly formed state governments. Raut has even threatened to picket Singha Durbar if the center continues to ignore his government's demands for necessary laws, resources and manpower. It has been reported that the crunch of resources and the delay in formulating the necessary laws have badly hit the works of the provincial government. However, NCP leaders have been blaming FSFN Chairman Upendra Yadav of using Raut against the center after his request to postpone the suspension of Harinarayan Rauniyar was turned down. Rauniyar was suspended in October last year after his firm, Pappu Construction, courted controversy. The Commission for the Investigation of Abuse of Authority (CIAA) has filed a complaint against his company for using substandard materials in construction of a bridge. 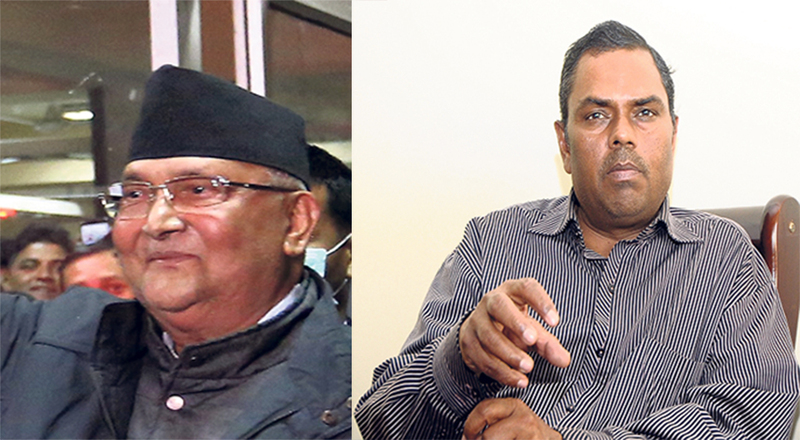 Sources said PM Oli has privately expressed his dissatisfaction with Yadav over lack of cooperation from FSFN, but to no avail. PM Oli is also unhappy over Yadav's support on Dr Govinda KC's agenda during the recent standoff. 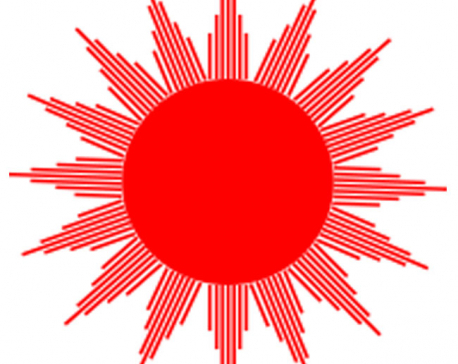 The source said the party would rethink in its relations with FSFN if Yadav continues to target the center. “The party would be forced to rethink its relations if FSFN doesn't change itself,” said an NCP leader close to PM Oli. A leader of FSFN said in condition of anonymity that Rauniyar's suspension and, more importantly, Oli's 'perceived interference' in works of ministries led by FSFN were the main reasons behind FSFN's attacks. “It's true that our party is not happy with how PM keeps interfering in our ministries, besides suspension of Rauniyar. But there's no truth in the allegation that Raut is acting at the behest of the party. Raut has every reason to be unhappy as his both hands are tied by the laws and Oli government has been making him a constant target,” said the leader. The sourness in relations between the coalition partners have come at a time when another Madhes-based party, Rastriya Janata Party Nepal, is mulling over the possibility of joining the government after one of its MPs Resham Chaudhary, who faces charges for instigating carnage in Kailali, took oath of office.